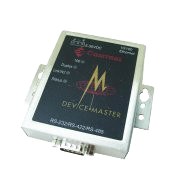 The DeviceMaster UP is a port gateway designed to provide Ethernet/IP , Modbus and profinet IO which enable quick connection of PLC’s, SCADA, OPC servers applications to devices such as barcode scanner , RFID reader. DeviceMaster UP provides the functionality required to make the job easier with its simplified web-based configuration pages, innovative functionality and informative diagnostic information. • DualConnectPlus™ Technology – simultaneously connect both serial and Ethernet devices to PLCs and/or applications. String, RFID, and barcode data filtering eliminates redundant data while extracting the RFID and barcode parameters. • ESD Surge Protection Provides minimum of 15KV protection for all serial lines. All Ethernet components are rated to 1.5KV magnetic surge protection. • SNMP Support MONITORING ONLY.